Ever dreamt of owning your own business? Meet Kim and Lisa, the inspirational women behind fashion and jewellery business Love Gems in Durban, South Africa, who have done just that. Sisters Lisa (left) and Kim who own Love Gems. I went to high school with Kim and was immediately drawn to her warm personality and infectious laugh. We soon become firm friends and I would often spend weekends at Kim’s house, which is how I got to know her younger sister Lisa. I have so many happy memories of spending time with them both (and some hilarious stories, I might add…) and even though I now live on the other side of the world, they are often in my thoughts. Just over two years ago, Kim and Lisa decided to follow their passion and start a side business together. It’s been long hours and hard work but they have built up a business they love. And that’s inspired me to follow my passion, which is to write about my travels and one day I too hope to earn a living from what I love. Why did you decide to start your side business? We wanted the opportunity to do something for ourselves and that we really enjoy, almost like a hobby, but that we could make a small business out of. How did you come up with the name Love Gems? 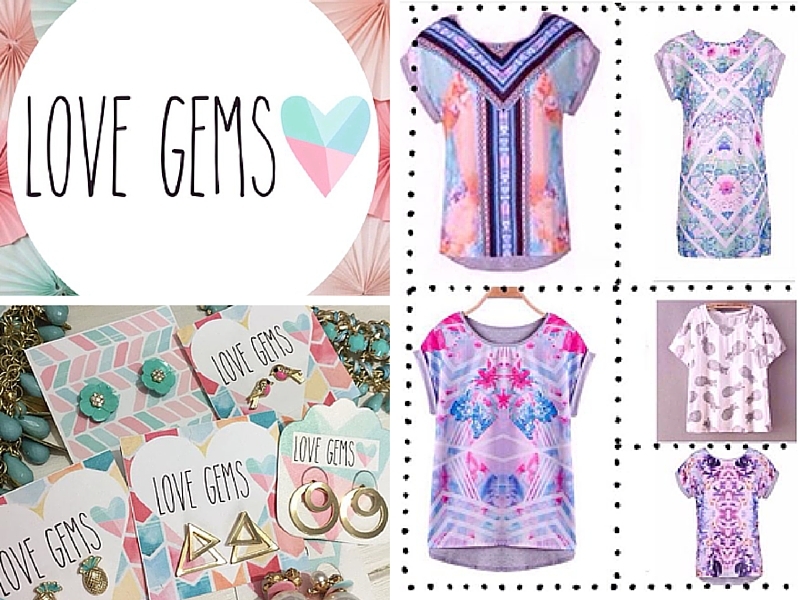 We liked the name Gems when we were starting out with just the jewellery so when we expanded into clothing and were registering our company’s name, we needed something more original so ended up with Love Gems! 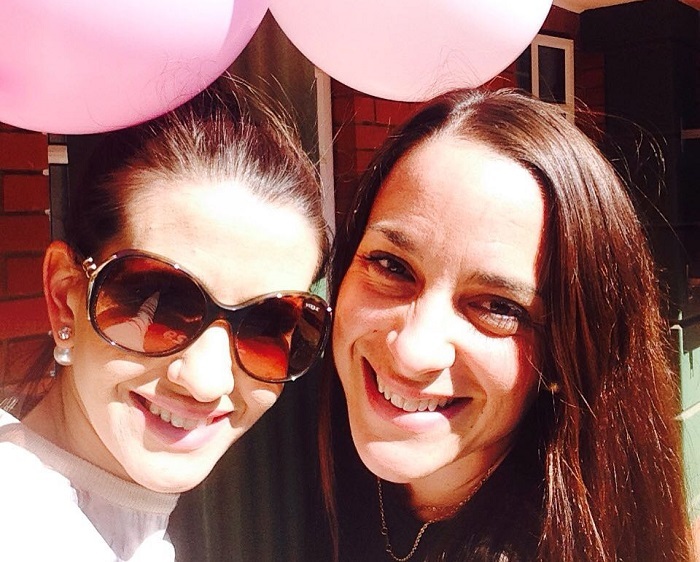 Being sisters, how does your close relationship affect your business decisions? We actually work really well together. We balance each other well and have fallen into different areas that we each take care of. Lisa is really good with creating and designing posts for Social Media, the visual displays and pricing etc. I seem to handle more of the admin, ordering, and somehow the finances (something I never thought myself being capable of) but it works really well. We have almost an unspoken understanding of each other and always support each other. How much research did you do before opening your business and how did you go about it? We must admit we really have gone into it more on a trial and error basis! We obviously researched the legal aspects of setting up a business and dealing with the bank etc. As far as sourcing our products and how the fashion industry works we really just go with what people want (combined with what we like ourselves) and the fashion trends of the time. We have also found that in Durban, people are much more reluctant to take on a fashion trend until they are certain everyone else is embracing it. Often the overseas fashions only come to Durban a season or 2 later but we have learnt to be patient and go with what our customers want and are comfortable with. How do you manage your time as you’re both mothers, business women and have other jobs? It’s certainly a challenge at times. Luckily it’s also enjoyable! It’s something we can call our own and it’s not like we are slogging it out doing something we dislike or building a business for someone else to profit from. Somehow we have managed to make it work between the two of us – we cover and stand in for each other if one of us has something on or we try and juggle the 3 kids between us. Also we can’t forget how lucky we are to have an amazing support system in our parents and husbands. They help us a lot. In fact, we wouldn’t have been able to do any of this without them. What advice would you give to others who would like to start their own business? Go for it. Start small – start as a hobby, use your friends and family as guinea pigs but just do it! Research, learn as you go, experiment – but do that ‘thing’ that gets you excited! Knowing the hours of hard work you are putting in are going to benefit you in the long run and of course the flexible hours, especially with children, is great too. To run your own business and be responsible for every cent that is spent and whether you are going to be able to pay the bills at the end of the month has certainly been an eye opener! There are no ‘perks’ – there is no free tea and coffee or paid maternity leave! But it’s ours and we wouldn’t change it for the world. Are you thinking of starting your own business? I hope Kim and Lisa have inspired you to go for it! Some really great advice here. Love her logo design. I agree with Umber, some great advice! I love the fact that they’re sisters working together!